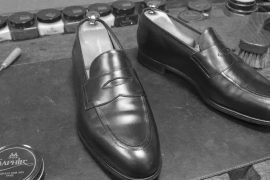 Now you’ve invested in a pair of nice quality shoes, you want to keep them that way. The basics are actually a lot simpler than often thought. 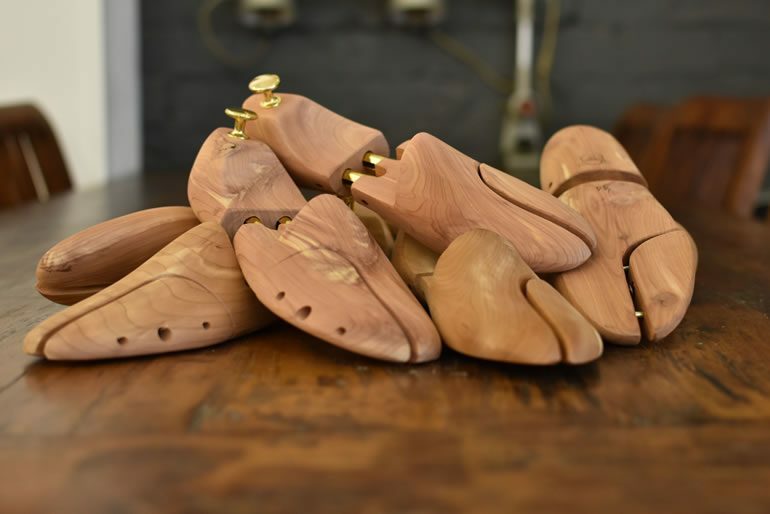 Proper shoe care starts with cedar shoe trees. 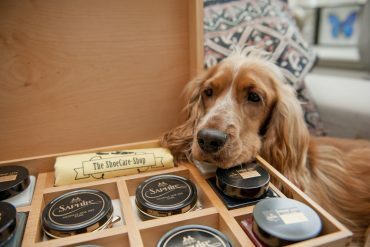 Some men think shoetrees are an unnecessary purchase, but it’s the foundation of shoe care. The emphasis is on cedar. Aromatic cedar is famous for its natural benefits. When unvarnished, cedar protects the leather, fabric, stitching and soles of your shoes by absorbing moisture, salts and acid. And that is exactly what your dress shoes need. All feet sweat throughout the day, and the leather and lining of our shoes absorb that moisture. 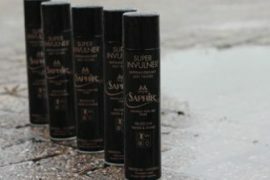 Over time, this moisture will cause the lining to rot, shoes to smell and the leather to crack. Cedar trees smooth out creases, linings and wrinkles in your shoes. The tree holds a shoe in its proper shape, so it dries out correctly. Because of the absorbent nature of cedar, it will also dry out the lining of your shoes, so they don’t rot. Another great feature of cedar is its scent – it will make your shoes smell fresh again. So, yes, we understand you’ve just spent a lot of money on your leather shoes and don’t want to waste more money. But remember: a pair of shoetrees is cheaper than a new pair of shoes. You can order your shoetrees here. Using shoetrees will not only make your shoes look better, but also last longer. So does this mean you need a pair of shoe trees for all your dress shoes? Well, ideally yes. But if you only have a few pairs of shoes you use regularly, you might be able to rotate just two or three pairs of shoe trees. Be aware that shoes need a full 24 hours to dry before they can be worn again. So make sure you don’t wear your shoes two days in a row. Of course, the best way to dry them is by using a shoetree. The most important time to use them is in an hour or two after you’ve worn your shoes. That is the moment they will actually draw out the moisture and help the shoe return to its original shape. If you wait too long, creases will have manifested in the leather already. After those two hours, the trees will mostly retain the shape of your shoes and help with the odour control. 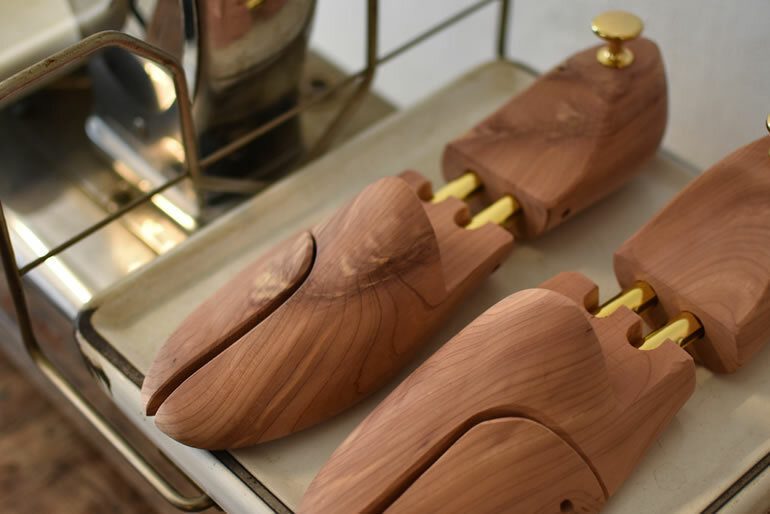 The aromatic feature of cedar makes our shoetrees also perfect to use in your less formal footwear. That is why we developed special Sir Beecs cedar trees for sneakers. Not only do they take care of any unwanted odour and will they keep your sneakers in shape, they also make your footwear collection look quite cool. Especially because of our fitted leather labels with the laser engraved sneaker logo of your choice. 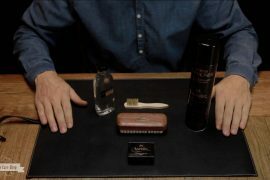 How to – Remove old shoe polish?